What does a bird sing about? What did the sun see? What did Janek do at school? Find the answers to these questions and tons of others by joining us and reading Maria Konopnicka’s most brilliant children’s poems and stories with us! 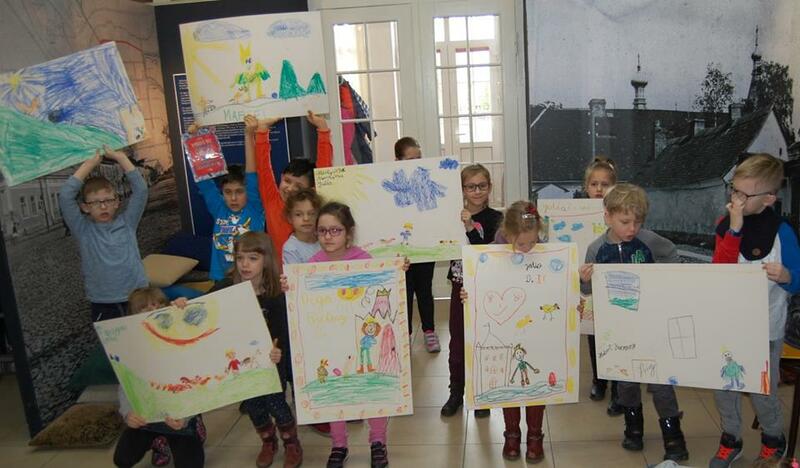 Fun, games and surprises will help the young participants to discover ways to express the world hidden in Konopnicka’s works through movement, drawing and words. 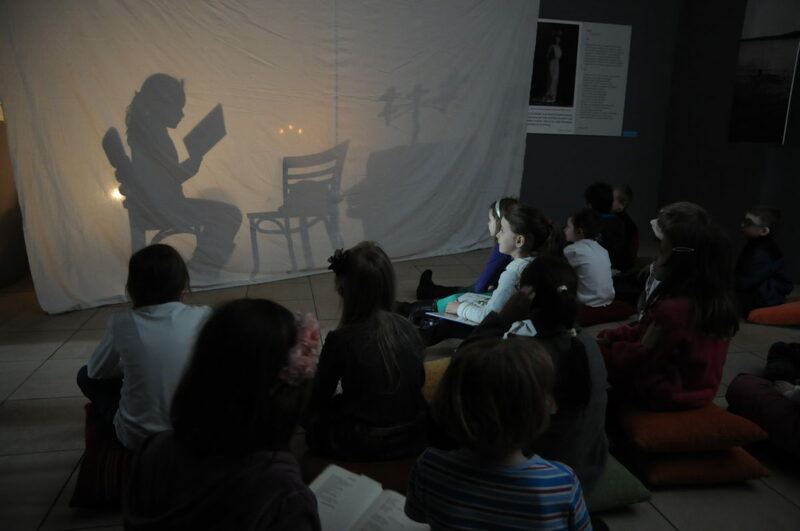 The workshops will also rouse the children’s love of poetry and stimulate their imaginations and sensitivity. 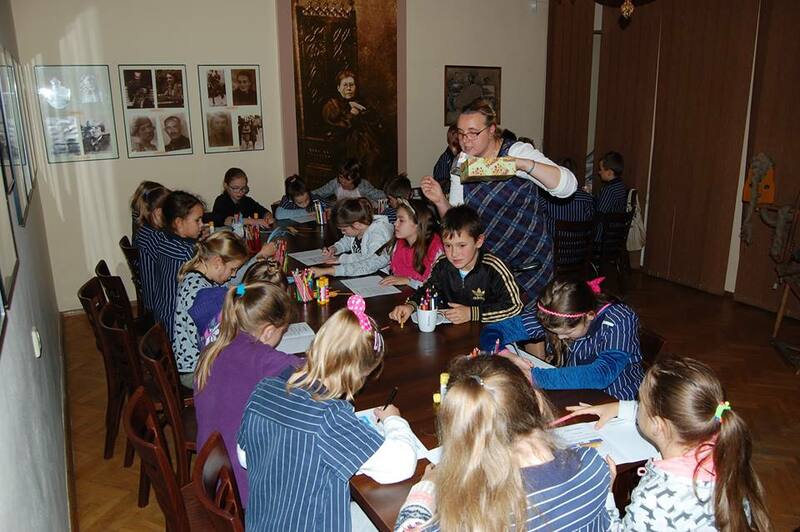 The workshops are based on Konopnicka’s most fascinating works for children. They explore customs, the changing seasons and the beauty of nature. 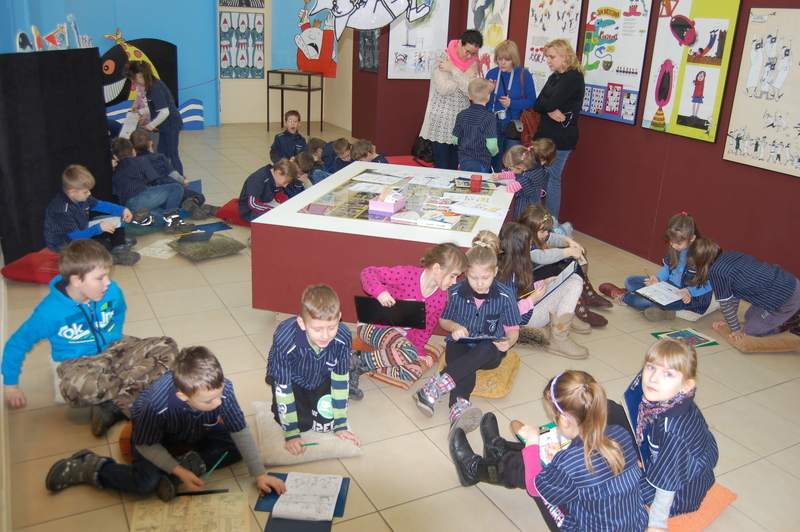 The themes of the workshops are adjusted directly to suit the expectations of each group as it forms. Step back in time with us to when Maria Konopnicka was a little girl! Explore her home and meet her family and her nursemaid, Anusia. Find out about how she spent her carefree childhood in Suwałki, about the games she played, the walks she went on and the stories her much-loved nursemaid told her. Are there really dwarves in the world? Well, of course there are! And if there’s one thing that will convince you, it’s Maria Konopnicka’s most wonderful fairy tale, Of Dwarves and Little Orphan Mary and the drawings of the main characters by the king of Polish illustrators, Jan Marcin Szancer. Never again will you get our dwarves, King Błyst, Koszałek Opałek, Podziomek and Modraczek mixed up with Snow White’s seven dwarves or the Smerfs! Find out what Sikorek likes best, how Pietrzyk spends his free time and who Mikuła and Pakuła are! Come into the garden with us and step back in time to Maria Konopnicka’s carefree childhood years in Suwałki! Enjoy the games that children played almost two hundred years ago! You’ll be accompanied by the dwarves who’ve hidden King Błysta’s treasure in the garden. Who knows? Perhaps you’ll be the one to find it! A century ago Poland regained her independence. We warmly invite to you to our museum for a series of workshops devoted to events in the Suwałki region connected with regaining independence. We have such a story waiting for you! A tale of extraordinary people, of their courage and sacrifice, and of the Suwałki region’s hard road to Independence. The workshops include a unique film that tells the vital story of a hundred years ago, a story that everyone in our region should know. How can you explore the life and work of Suwałki’s most famous daughter… and do so with a smile on your face? How much beauty and sensitivity is hidden within her poetry? Are her works still topical today? What was she like? What do her thoughts conceal? You’ll discover all of that when you take part in this unusual quiz. Be warned, though! You’ll need to engage all your senses, put your brain in top gear and make sure your sense of humour is firing on all cylinders! History is a lot more than dates, battles and dry facts. It is also daily life, anecdotes and stories about ordinary people. Historians are a bit like detectives. They have to know how to dig up information and then interpret it properly. What was Suwałki like when Maria Konopnicka lived here? Where did her father work? Where did she go on her walks? The answer to these questions and more will emerge when you throw the dice, encounter Maria and have plenty of fun. Who knew that Józef Piłsudski, one of the architects of Poland’s regained independence, was married to a woman who was born in Suwałki and lived on Gałaja Street? Aleksandra Szczerbińska, or Ola, to use the diminutive, spent her childhood here, graduated from high school here and, when she went out into the adult world, she fought fearlessly for a free Poland. She was active in the underground at Piłsudski’s side and she took part in a number of dangerous operations. When our country regained independence, she became the First Lady of the reborn Republic of Poland. She was a truly extraordinary figure and an encounter with her is an absolute must!